ALright so i bought a horse 2 weeks back and this is what his feet look like. he is pretty sore and i was wondering your guys' thoughts on it. i know he is sitting too much on his ankles putting stress on his tendens and his heel is practically non existant. but we know nothing about his past the old owner wasnt at the sale and we have no way of contacting them. anyways think its fixable by what you can see in these. His feet really aren't bad... sure there's not a LOT of heel there, but you don't want him setting on posts either. 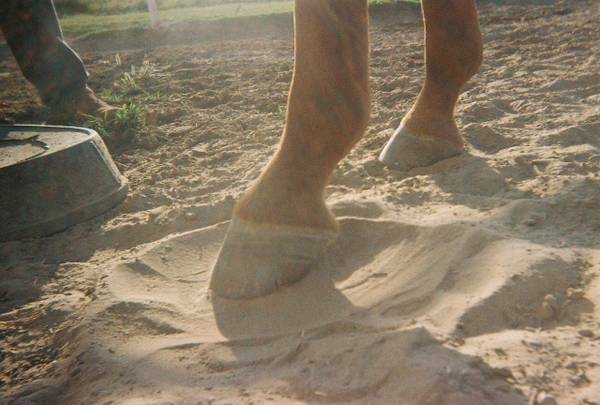 The hoof angle needs to match the angle of the pastern. On the ideal horse with the ideal trim job, you have a 45 degree angle on front and a 55 degree angle on the back hooves. He's pretty close although there's a bit more angle to the hoof than to the pasterns. IMO the previous owner did a decent job taking care of his hooves, and I'd be looking for another reason for him being sore. I agree that his feet do not look bad, however setting him up on a hard level surface for pictures would giver viewers a better picture of his angles, and how he stands. 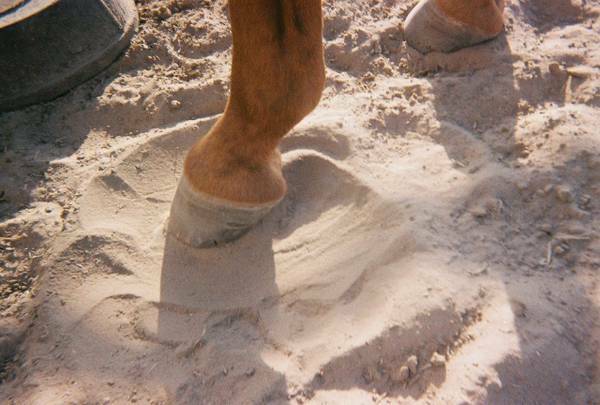 Many horses do not have a lot of heel. I do not see what you are talking about when you say he is sitting too much on his ankles (btw: horses do not have ankles, they have fetlocks). If he were recently trimmed, he may be tender from that. My advice would be to get him checked by your vet and/or chiropractor. 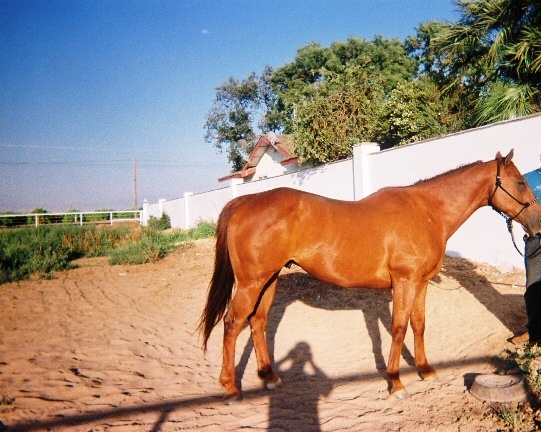 If you bought him at an auction, his lameness may have been the reason he was sold that way. I'm with the other two, I don't see a problen in his angle or the amount of heel. Judging by the two close ups it looks like I see nail marks from shoes on the hoof, is that correct? If so he may just be a tender footed horse that needs to have shoes. 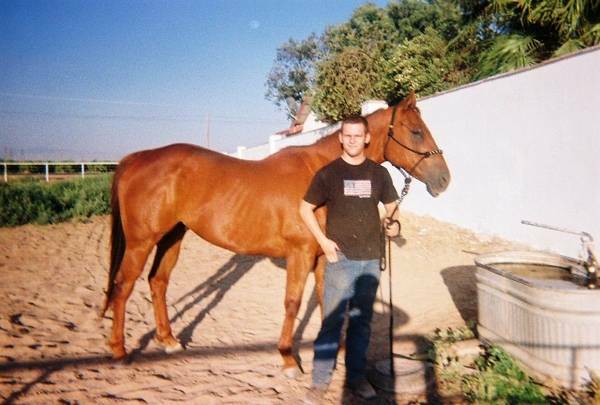 I'm with Chippie, that might be the reason he was at a sale where the owner was not avalible. Also he looks to be in pretty good shape not too thin, but if he was mine I would but 50lbs on him.... which he could have easily lost during the stress of the sale. Nice healthy looking coat.